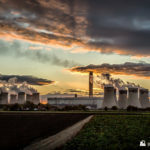 The UK plans to phase out coal fired power stations by 2025. The map above shows plants that are still operational, along with plants that have closed or been converted to biomass since the Large Combustion Plant Directive (LCPD) came into force in 2008. Aberthaw B Vale of Glamorgan Planning partial closure. 1,586 MW 48 Years Running reduced hours from April 2017. Lost EU legal challenge over air pollution rules. (3,885 MW total) 33 Years Units 1-4 converted to biomass. Plans to convert further units to gas. Fiddlers Ferry Cheshire Likely to close this year. 1,961 MW 48 Years Contracted until September 2019. Kilroot County Antrim Planned to close by the end of May 2018. Contract extended by 12 months. 520 MW 38 Years Not covered by coal phaseout, as Northern Ireland has devolved a strategy for energy. Ratcliffe Nottinghamshire No plans to close. 2,000 MW 51 Years Compliant with EU Directives. 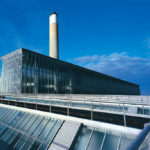 Issued in October 2001, the Large Combustion Plant Directive (LCPD) aimed to reduce carbon emissions throughout Europe. 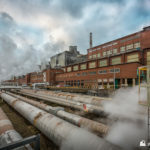 The deadline of 1st January 2008 allowed plants that did not comply with the strict emission limits to opt-out, whereby they could operate for a further 20,000 hours or until 2015 at which point they had to close. 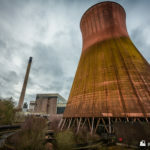 The Large Combustion Plant Directive (LCPD) announced, stating emissions limits that will be imposed on large carbon emitters. LCPD comes into effect (for plants built before 1987), non compliant plants could opt-out, whereby they could operate for a further 20,000 hours until 2015 at which point they have to close. 1,300 MW Grain oil-fired power plant in Kent closed. 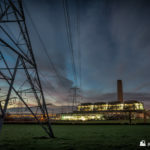 1,940 MW Kingsnorth power plant in Kent closed. 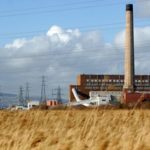 1,152 MW Cockenzie power plant in East Lothian, Scotland closed. 1,958 MW Didcot A power plant in Oxfordshire closed. 2,000 MW Fawley oil-fired power plant in Southampton closed. 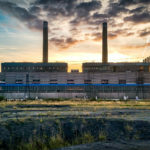 1,428 MW Tilbury B power plant in Essex closed. 363 MW Uskmouth B power plant in Newport, Wales closed pending conversion to biomass. 2,055 MW Littlebrook D oil-fired plant in Dartford, Kent closed. 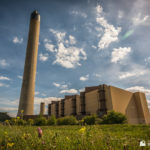 Last remaining oil-fired power station to close. The remaining unit of the 1,000 MW Ironbridge B power plant in Shropshire closed. Closure deadline for all plants opted out of the LCPD. Industrial Emissions Directive became effective, replacing LCPD. The remaining two units of the 2,000 MW Ferrybridge C power plant in North Yorkshire closed. 2400 MW Longannet power plant in Fife closed. Longannet was Scotland’s largest coal power station. 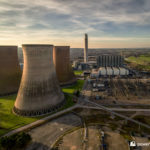 1,000 MW Rugeley B power plant in Staffordshire closed. 420 MW Lynemouth power plant in Northumberland biomass stopped using coal and was converted to fire biomass. 2,000 MW Eggborough power plant in North Yorkshire closed, to be replaced with a gas-fired station.